Cape Town - Police have confirmed reports that Shaheed Omar, the nephew of struggle stalwart Dullah Omar has been shot dead. 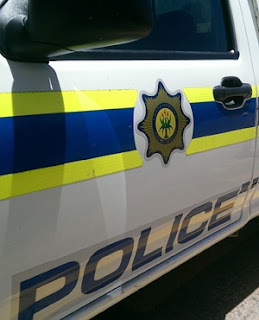 Police Captain FC van Wyk confirmed that a 38-year-old man was fatally shot on the corner of Lansdowne and Jan Smuts Roads in Lansdowne on Thursday night at about 20:30. "We are investigating a case of murder," Van Wyk told News24. Tweets from Yusuf Abramjee indicated that Omar was shot dead in an attempted hijacking in Lansdowne, a suburb of Cape Town. "That's all the information I have, but I'm updating my Twitter feed," Abramjee told News24 when called on Friday morning. Julian Jansen, investigative journalist for Rapport, also tweeted that Omar was shot dead, posting images of police and a vehicle on his feed. On August 4, the family released a statement saying that Omar, the first minister of justice in a democratic South Africa, "was a man of integrity, honesty and humility. "No inducement of position, power or personal enrichment was powerful enough to change him. "This contrasts sharply with the behaviour and actions in recent years of many ANC leaders and members, up to and including President Jacob Zuma." The statement was in response to the ANC's march in defence of President Jacob Zuma.